Learn how to Mix & Master With Ozone 8. Izotope Ozone 8,Izotope Ozone 8 Course in Dubai. Learn to Mix Music. Learn to Master Your songs with Izotope Ozone 8. Mixing & Mastering Course In Dubai.Izotope Ozone 8 Course in Dubai. Learn to Mix Music. Learn to Master Your songs with Izotope Ozone 8. 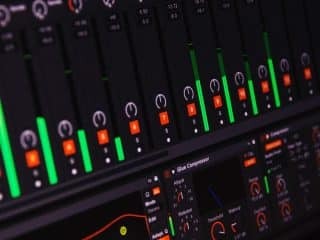 Mixing & Mastering Course In Dubai.Music Mastering Course In Dubai.Izotope Ozone 8 Course in Dubai. Izotope Ozone 8 Course in Dubai. Learn to Mix Music. Learn to Master Your songs with Izotope Ozone 8. Mixing & Mastering Course In Dubai. Audio Mastering Course in Dubai, Music Mastering Course in Dubai. How to Master my music. Ableton Mastering Course in Dubai. 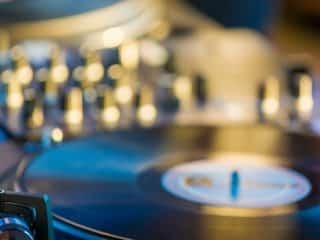 Best Music Mastering Course in dubai, Top mastering course in dubai, audio mastering course in dubai. What software do I need for mixing? For mixing you can use your favorite DAW. We use Ableton and highly recommend it for music production as well. All the concepts we discuss can be carried across any DAW. Once you learn about Mixing then we can move to Mastering. I know mixing can I just jump straight to Mastering? Yes and No. Send us a link to your finished mix and give us a short description of your mixing process. If you make the cut then we happy to catapult you into mixing. These sessions are specifically made for music producers. Creating a balanced mix is the start to a great sounding master. If you have been making music and your track sounds rough, then these sessions will help you refine your sounds, and polish your creation. Once mixing is done then the next step is to Master the music before release or online consumption. Izotope is a global powerhouse brand for mixing, mastering and music production. Ozone is the complete mastering solution that top end producers go to, to finish their next best sound. Youtube and other platforms are great time-consuming (to put it lightly) tools. Sure you will find some useful information. Every minute 300 hours of content is uploaded on Youtube, the chances that you will find what you need are the same as those of winning a scratch ticket. There will always be a need for structured learning both physically and online. The right information, presented in a logical manner at the right time. Will I be able to Mix & Master my music? The short answer is Yes. You made it this far, you might as well go all the way and take creative and technical control of your music. The sessions are technical in nature, but we will inject some creative components to keep everyone on their toes. We left alot of the BS out, this is a granular experience. What you need to get your music production to the next level will be the core focus. In saying that, are the right questions is: Are you committed? Who is running these sessions? The sessions are delivered by an Ableton Certified Trainer. There are about 250+ Ableton Certified Trainers in the world. ACT’s are individuals that have an extensive educational and academic background, know Ableton really well, have a creative approach to making music and are able to communicate and transfer the message across. ACTs are primarily heavily involved with music technology and are active in the scene. Some ACTs are artists, music-tech entrepreneurs and media creators. Costas Papa is the only Ableton Certified Trainer in the region. Costas also hosts community meets up around Dubai as well, to raise awareness, share ideas and network with the creatives of Dubai and across the region. The Dubai Ableton User Group was established in May of 2016. It is the official Ableton Community meet up for Dubai. We also have KAUG, in Kuwait too. In DAUG, we meet regularly to create, share, network and learn. DAUG is supported by some leading audio and music production brands in the city and of course from our super creative community of artists.